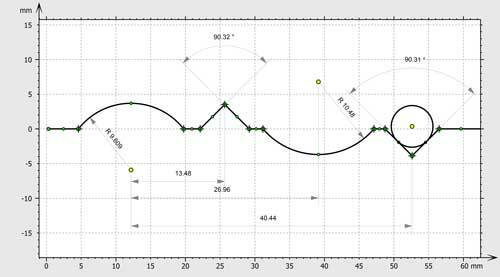 Geometric dimensioning of contour profiles and horizontal contours extracted from images is a useful tool in particular in the area of quality control. Dimensions on lines, arcs, circles and angles between intersecting tangents were automatically generated. Form deviations from nominal segments and arcs were displayed graphically, together with upper and lower tolerance limits.